This is lots of fun. Makes me wish I was teaching NT Greek again so that I could play it to the class a few weeks in for encouragement. HT: Helen Ingram and Jim Davila. I recently commented on the fact that sometimes this blog and my Resident Alien blog intersect and Henry Nguyen drew my attention to an excellent new blog that appears to span my own interests, ancient and modern. 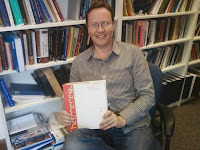 The Pop Classics blog is the work of a final year PhD student at my former institution, the University of Birmingham. Juliette Harrison comments on popular culture from an informed, classics expert's perspective. I am delighted to see that so far she has commented not only on the Life of Brian but also on one of the great historical episodes of recent Doctor Who, The Fires of Pompeii. This morning's In Our Time on Radio 4 was about the Apostle Paul, with a good panel made up of John Barclay, Helen Bond and John Haldane. You can listen online or download the podcast for the next week. I have always been a fan of this claymation film, which I first saw in 1999 at a screening at the NEC in Birmingham, with writer Murray Watts afterwards doing a life Q&A. For more on the film, see Matt Page's posts on the Bible Films Blog. My own page on it, along with the other Celluloid Jesus site, is down for a major overhaul at the moment, but I hope to reintroduce the site again this summer. It's not the first Jesus film to appear on Hulu. Matt Page recently noted on the Bible Films blog that the Last Temptation of Christ is also available, though only for US audiences. I imagine that the same is true of The Miracle Maker. Update (11 February 2015): this is no longer available on Hulu. It's a draft so it remains "work in progress". I am not sure at this stage how long I will keep it on the web. I will almost certainly not publish it in its current format but will borrow some parts of it for expansion elsewhere. I have noticed a few other things that have gone missing from the web in the transition, and I will be uploading those in due course too. Regular readers will know of my interest in the Synoptic Problem and Q and it's nice to see the topic returning again to the blogosphere, first in Kevin Scull's Paul of Tarsus and Pat McCullough's kata ta biblia and then in Mike Koke's The Golden Rule. Mike asks whether most bloggers accept the existence of Q or not. My impression is that things are even-stephens on this. A couple of years ago, Brandon Wason ran a Synoptic Problem Poll on his now defunct Novum Testamentum blog. The poll had the Two-Source Theory coming out on top, but Farrer hot in its heels. I made some fairly lengthy comments in Synoptic Problem Poll: Some Reflections, and then more briefly in More on the Synoptic Problem Poll. The reason why some argue that Luke is not just copying Matthew is because Luke rarely has Matthean additions to the triple tradition (e.g. Mark 1:32-34/Matt 8:16-17/Luke 4:40-41; Mark 2:23-28/Matt 12:1-8/Luke 6:1-5; Mark 4:10-12/Matt 13:10-15/Luke 8:9-10), places the “Q” material in different contexts (e.g. why would Luke break up Matt’s beautiful Sermon on the Mount? ), Matt/Luke never agree in order against Mark, Luke’s lack of “M” material (e.g. the visit of the Magi, Matt’s great commision), “doublets” (sayings appearing in Mark and in “Q” material), etc. "Luke rarely has Matthean additions to the triple tradition": actually, Luke regularly has Matthean additions to the triple tradition but Two-Source theorists re-categorize them as "Mark-Q overlaps" and ignore them for the purpose of this argument. Luke "places the “Q” material in different contexts (e.g. why would Luke break up Matt’s beautiful Sermon on the Mount? )": Luke treats double tradition sayings material the same way that he treats triple tradition sayings material. Where there are long discourses in Mark (e.g. 4.1-34), Luke retains some, omits some and redistributes the rest, just as when he finds long discourses in Matthew. It is just that there are more of them in Matthew, and they are much longer. "Matt/Luke never agree in order against Mark": In fact they often do; even Streeter had to build the exceptions into his statement of the supposed rule by noting that they agree all the way through chapters 3 and 4. Luke’s lack of “M” material (e.g. the visit of the Magi, Matt’s great commision): "M" material is by definition not in Q; of course Luke lacks "M". Luke omits the visit of the magi because of his negative attitude to magi and sorcerers. The Great Commission is reworded at the end of Luke. Doublets: an argument that would only be convincing if all doublets could be explained source-critically, which they cannot on the Two-Source Theory. Well, those answers are a little brief, and there is a lot more to be said to tease out the problems with the traditional arguments for Q, but offer these as concise indications that the arguments for Q may need some more thought. Jim West has a forthright post on Blogging: To What End?, partly in response to my post Academic Blogging: Publication, Service or Teaching, itself in response to Stephen Carlson on Hypotyposeis. I have a few quick comments on Jim's post. First, I blog because I enjoy it and I know that some of my readers enjoy it. If I stopped enjoying it, or if my readers stopped enjoying it, I would stop doing it. The question about where to file it in an academic application is, I think, a reasonable one, but one's answer to that question is clearly not the same as one's answer to the question "Why blog?" Indeed, as I said in the recent post, I sometimes reflect that I could have got a lot more done (publications wise) without blogging or doing other web work. But I do that work because I enjoy it. Second, I think that Jim is unfair to Jim Davila in this post and I would encourage him to rethink those comments. Mark Goodacre has subdivided his blogging life into a strictly ‘professional’ offering and a thoroughly ‘personal’. But again, why? Do the two worlds never intersect? Can any of us really subdivide our lives and compartmentalize them so thoroughly that we have a ‘professional’ and a ‘private’ life? And what does that say about our forthrightness? The reason that I do this is that I have friends and family and other casual readers who are not interested in academic New Testament scholarship, but who enjoy reading my occasional posts over on The Resident Alien. Likewise, I do not presume that people who come to the NT Blog for material about Biblical scholarship will be interested in life as a British expat, Doctor Who, Abba or whatever else. Of course the two worlds often intersect, which is why I sometimes cross-refer from one blog to the other. Other bloggers have made other decisions about posting on non-academic issues, and I have no problem with that. Each to his or her own. The latter part of Jim's post suggests that James Crossley, Roland de Boer and a few others are "examples of honest academics" while a "legion" of others are engaging in dishonesty, hypocrisy and more. I think my own feeling is that the bloggers in our field are an honest bunch and I am sorry to see that Jim apparently thinks otherwise. Thanks to Mark Elliott for pointing it out to me; blogged also already by Jim West. Academic Blogging: Publication, Service or Teaching? Over on Hypotyposeis, Stephen Carlson asks the interesting question Academic Blogging: Publication or Service? A friend of mine at the annual meeting of the North American Patristics Society (NAPS) reported that a speaker at a session on scholarly publishing observed that blogging tended to count more as service instead of publications for one’s academic career (read: tenure and promotion). On the face of it, this observation seems plausible--one’s web work does count, but not as a replacement for publishing. My questions are: is this really the case? and is this a good way to evaluate the role of blogging in conjunction with one’s academic career? This is a question that I have occasionally discussed here, and it is one of interest to any of us who spend a lot of time blogging. Frankly, I do sometimes ask myself whether the time I spend blogging (or on the NT Gateway, or other web projects) would have been better spend writing more books and articles. But always, in the end, I decide that it is a worthwhile chunk of time, not least because blogging and web work occupy a space that overlaps with all the other elements in an academic's life, teaching, research and service. Its relevance for research and writing is obvious -- it is a place to develop one's ideas and to try out new things, often in discussion with others. Scholarship is a communal and not a solitary activity, and blogging at its best can underline the communal nature of good scholarship. I know that I would always look favourably on someone who has an intelligent and energetic blog, whether as potential applicants to a graduate programme, or as job applicants, or as applicants for tenure. To me it is likely to suggest several things, a commitment to the dissemination of scholarship outside of the guild, a commitment to collaborative scholarship, and some degree of courage and public risk-taking. So I would be strongly inclined to treat blogging as a plus. I suppose that this is what Davidson means in her reference to blogging as fulfilling the all important "service to the guild" requirement for gaining tenure. [Context here] But I think that it is potentially much more than that. For one thing, blogs can be continuous with published work, so that the lines between publication and blog are blurred. In those cases, it's not a bolted on extra, but is integral to the research and publication process. One might even be using the blog as a means of developing published materials. There are multiple examples of this kind of thing as when people develop conference papers on-line and then use a blog as a means of doing research, gauging reaction and improving the output. However, I think that now I would want to stress more the role that blogging can play in good teaching, as a place to discuss elements that come up in the process of teaching, to reflect on how things have gone, or to try out new ideas. I suspect that it is this latter category that actually weighs most strongly with appointment, promotion and tenure committees, and I would be inclined to stress this element in the obligatory category on "innovation" in teaching. A blog in which teaching methods and content is discussed is a demonstration of one's commitment to thinking through pedagogy. Over on the SBL Forum, Michael Bird and Craig Keener have an enjoyable article entitled Jack of All Trades and Master of None: The Case for “Generalist” Scholars in Biblical Scholarship. The pieces picks up from one of Mike's old blog articles, Specialist or Generalist? from August 2005. I commented at the time with What type of NT Scholar are you? and I thought I would take the liberty of revisiting and revising that post here. Talk to people: at the conferences take an interest in other people's research, and when they are working in an area you are not familiar with, ask them what one ought to be reading in that area. What are that person's pick of the last few years' books? What are the interesting ideas that deserve attention? Who are the "ones to watch" in that area? It's a fabulous quotation, and I love the idea of being "as widely open to the second type as the first". This is a great way of making sure that one avoids the pitfalls of both. I would add that it is not easy to answer the "Specialist or Generalist?" question towards the beginning of one's career. And most of us bibliobloggers are relatively young, at least in sometmes crusty old academic world. Sometimes we become associated with a particular narrow area because we have so far only published, on the whole, in one or two narrow areas, and that might make us appear to be specialists. Perhaps those who now appear "specialist" will in due course become "generalists". It's difficult to say. So I suppose it is something that one will be able to pronounce on more confidently when looking back at one's career rather than looking forward at it. Here's a way of nuancing the question. What type of scholar do we most admire? I must admit to a fondness for what I would call "ideas" people, i.e. "the more imaginative" in Knox's characterisation above. Fundamentally, my favourite scholars are those who have the ability to think exciting new thoughts, to rework existing questions in interesting new directions. I am thinking in particular of scholars like Michael Goulder (I know, surprise, surprise) who might be criticized on various fronts, but who will never be criticized for being dull. He always makes me think about existing questions in new ways. The example of a Michael Goulder, though, raises the question about the appropriateness of the terminology "specialist" or "generalist". If the definition of a "generalist" is someone who has published in a variety of areas across the Testaments, then Goulder is definitely a "generalist". But I wouldn't feel that that was a useful term to characterize him, as someone who is precise and specialized in his approach to a whole range of specific areas, from the Synoptics to Paul to Revelation, from Isaiah to Song of Songs to the Psalms. Perhaps the ideal is to be both specialist and generalist, or, to be a specialist in a wide range of different areas. It may be that the characterisation, then, is too simplistic to be useful. We can all think of work-a-day scholars whose special ability is to keep on top of a range of material, both primary and secondary, but who have nothing very interesting to say about any of it. The best scholars are those who combine imagination and insight with knowledge and wisdom. The greatest of all living NT scholars in my book typifies this combination, E. P. Sanders. He radically rethinks consensus positions, lucidly explicating his own views, at which he has arrived on the basis of extensive but careful reading of the primary materials. In a couple of recent posts, I have been reflecting on the question, The Historical Jesus: What if the key pieces are missing? with a follow-up post, The Historical Jesus: More on those missing pieces. I would now like to turn to a related problem that is again insufficiently considered by those engaging in the quest. What if we are putting the pieces we have in the wrong place? The fact of absent data has a direct impact on our reconstructions of the historical Jesus. It may be that we are taking pieces and placing them wrongly, and that our partial record does not allow us to see where we are doing this. Let me explain what I mean with an analogy. Gideon Mantell was a nineteenth century British paleontologist who discovered the fossilized bones of a huge dinosaur he named an "Iguanodon". 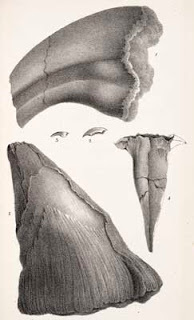 Mantell's wife apparently discovered the bone pictured on the left (Source: Paper Dinosaurs 1824-1969) and Mantell, in his reconstruction, imagined this bone to be the dinosaur's horn and promptly placed it on the animal's nose (sketched here; illustrated here). However, further discoveries, later in the century, made it clear that Mantell's guess was wrong. The bone was not a horn but was instead its pointed thumb! What if we are taking pieces of data and misapplying them? How will we be able to know? In the case of the Iguanodon, further discoveries corrected earlier reconstructions. Absent more discoveries ofst Historical Jesus data, how can we know where we are putting (good) data into the wrong place(s)? Another way of looking at the problem is to think of Historical Jesus research as a game of join the dots (apparently called "connect the dots" in the America) in which only a few of the dots have been given to us. What kind of distorted picture might we be painting with only some of the dots available? I should clarify that I am not trying to say that we cannot know anything about the life and personality of Jesus. I am with scholars like E. P. Sanders in thinking that there is a reasonable amount that we can know about the historical Jesus. My point is that saying some things with reasonable confidence is not the same thing as being able to provide something approaching a complete picture. It is the unavoidable fact of studying ancient figures that our information will be partial and, worse, that the parts that we have will not always be the ones that would be most telling. Although we should be careful of tracking over-simple lines of inevitable evolution in our early documents, there are occasions where one can see a reflection of a document's general dating by oberving shifting perspectives. I recently suggested that one such example is the ever increasing presence of authorial self-representation. Another example occurs over the question of death in the early Gospels. In Mark and Matthew, where death is envisaged it is violent death in the present. And where they speak about the future, natural death is scarcely ever in view. Instead, people are snatched away at the eschaton, or go to their judgement. With the later Luke, though, natural death begins to appear, notably on two occasions in the L parable material, the Rich Fool (Luke 12.13-21) and Dives and Lazarus (Luke 16.19-31), both of which feature rich men dying, and not at the end of the age. In Dives and Lazarus, the rest of the world continues on its ordinary way while the protagonists are in Hades and Abraham's bosom respectively. 59: Jesus said, "Take heed of the living one while you are alive, lest you die and seek to see him and be unable to do so." 109: Jesus said, "The kingdom is like a man who had a hidden treasure in his field without knowing it. And after he died, he left it to his son. The son did not know (about the treasure). He inherited the field and sold it. And the one who bought it went ploughing and found the treasure. He began to lend money at interest to whomever he wished." Logion 59 occurs in a cluster of material in which life and death is a key thread, from logia 58-61 and again in 63. Logion 109 shows us that as in Luke, natural death is now a feature of the parable material. Indeed Thomas's parallel to the Rich Fool (Luke 12.15-21 // Thomas 63) ends with the narration of the man's death ("that same night he died") rather than the death being implied in God's address, as in Luke. Luke 17.34-5: "I tell you, in that night there will be two in one bed. One will be taken and the other left. There will be two women grinding together. One will be taken and the other left." Thomas 61: Jesus said, "Two will rest on a bed: the one will die, and the other will live." Thomas, even more than Luke, comes from a time where natural deaths have found their way into the representation of Jesus' teaching. It's one small sign among several others that Thomas belongs to a slightly later historical context. In my post The Historical Jesus: What if key pieces are missing?, I suggested that we need to proceed with a greater degree of caution than is usual in the quest. It is in the nature of ancient history that the data we have is partial as well as prejudiced. We should be wary of proceeding as if we could retrieve everything we need to retrieve if only we hone our methods carefully enough. And yet the vast majority of these deeds and words, the "reasonably complete" record of the "real" Jesus, is irrevocably lost to us today. This is no new insight of modern agnostic scholars. Traditionally Christianity has spoken of "the hidden years" of Jesus' life -- which amounted to all but three or four of them! (A Marginal Jew, Vol I, p. 22). I would suggest that, if we are to continue to use the problematic category of "unique" in describing the historical Jesus, perhaps it is best to use it not so much of individual sayings or deeds of Jesus as of the total Gestalt, the total configuration or pattern of this Jew who proclaimed the present yet future kingdom, who was also an itinerant prophet and miracle worker in the guise of Elijah, who was also a teacher and interpreter of the Mosaic Law, who was also a charismatic leader who called disciples to follow him at great price, who was also a religious personage whose perceived messianic claims wound up getting him crucified by the Roman prefect, in the end, a crucified religious figure who was soon proclaimed by his followers as risen from the dead and Lord of all. It is this total and astounding configuration of traits and claims that makes for the uniqueness of Jesus as a historical figure within 1st-century Judaism. (The Present State of the "Third Quest" for the Historical Jesus, 476-7). In context, Meier is making a broader point about Jesus' uniqueness and how to configure that uniqueness, but in the course of making that point, he works with a presumption that it is possible to generate a "total" configuration or pattern for Jesus. He is assuming that all the really important elements about Jesus were retained somewhere in the tradition and that these enable us to make claims with a degree of confidence about some kind of complete picture. The desire to draw a complete picture is in fact necessary to the claims about Jesus' uniqueness. If key pieces of data are missing, we are not able to speak confidently about his "uniqueness", especially when it comes to theological claims. Dennis Nineham sounded a warning about this over thirty years ago in his "Epilogue" at the end of The Myth of God Incarnate (London: SCM, 1977), 186-204, a piece that effectively undermined many of the claims made in the earlier part of that famous collection of essays. Where the essayists often spoke about Jesus' unique relationship with God, and so on, Nineham questioned whether such claims can be made with any kind of confidence in responsible historical research. One of the scholars mentioned by Nineham is Joachim Jeremias, who is also famous for his claim that Jesus' address to God as "Abba", in private prayer, was utterly unique. The claim is of course a problematic one because of the paucity of evidence of Jews' private prayer in antiquity. Perhaps Jesus' address was unique but we could never know. It is the nature of ancient history that our source material, especially on matters like this, is seriously limited. There is an extent to which contemporary Jesus researchers have pulled back from bold claims like those made by Jeremias, but that same assumption, that all the really important data is present somewhere, and is sufficiently robust for us to be able to make large claims, still underlies a lot of our thinking about the historical Jesus. By my reckoning, this has been off the web for at least six years, and probably longer. Back in the day, it was a "featured link" over on the NT Gateway. It is good news that BAS are taking some time to bring back some of their lost online content. I have, of course, returned it to the NT Gateway page on the Gospel of Thomas and have added a note on the blog over there about other new items on that page. I have not had a chance to read the latter yet, but the former makes a good case that we should not read this as a "confession" in the normally accepted sense of that word, though without specifically suggesting that the cry is sarcastic or ironic. See too comments by Neil Godfrey on Vridar, also with a mention of the articles by Johnson. Jim West comments on the high price of books in the Library of New Testament Studies series, with Michael Pahl's Discerning the "Word of the Lord" @ $120 in the USA. My role as series editor does not stretch to budgetary matters, but I have to agree that this does seem very expensive, and there is an anomaly in that the US price is substantially more than the UK price, £60, which is about $91 at the current exchange rate. So it would of course be cheaper to buy it from the UK, even with the extra postage and packing. Of course it is expensive to produce academic books with a limited print run, but I will talk to the people at Continuum about the current pricing policy to see if there are ways that we can help individual scholars to bear the cost, rather as -- in days of old -- there were special reductions for individual scholars who wished to buy volumes in the series. AKMA has some interesting (if unnecessarily self-deprecating) comments on his blog about the issue of presenting papers, Uh. . . No, And This Is. . . Uh. . . Why. I have been engaging in a little discussion in the comments thread there and I would like to expand those comments here in reintroducing one of the perennial topics of my blog, on presenting academic papers. As regular readers will know, I am an advocate of putting thought into the way that papers are presented at conferences. I favour presenting rather than reading, for the reasons often mentioned here. AKMA comments, however, that speaking from notes rather than a manuscript can generate too many "um"s and "ah"s with distracting consequences for the listener. As I commented on AKMA's blog, I should add here that I have no problem in principle with people presenting from manuscripts; in fact, I have sometimes done so myself. The last time was a paper I read on the Gospel of Thomas at our NT and Early Judaism colloquium here at Duke two years ago. Then I felt that the most appropriate means of communicating was the read-aloud manuscript, with pauses for ad hoc comments, and a hand-out with the synopses and details. My concerns are not about the use of manuscripts per se but rather about the manner of reading from manuscripts common in conferences in our field. Manuscripts are often read aloud as if the author is unfamiliar with the material. I am always amazed to hear people reading out their own words as if they are seeing them for the first time. What happens, I suspect, is that people spend so long writing the paper that they do not put any effort into thinking about how to present it. One way of tackling this problem is to avoid reading at all, which forces one instead to put effort into thinking how to present. In the case of some scholars who are skilled in the presentation of manuscripts, this kind of issue does not obtain. A good example of this is Tom Wright. Whatever you think of his theology, his presentation skills are superb, and he appears to present from a pre-written manuscript, with a lot of thought going into the rhetoric of the piece. AKMA is clearly in the same tradition. In a way, the format of the script is not the important thing; it is the presentation of that script, whatever form the script itself takes. I don’t think I am interested in spontaneity or faux spontaneity so much as I am in attempting to find the best way of presenting the material. I don’t now think of my developing style as “extemporaneous” or “semi-extemporaneous” because I think those terms can be taken to imply that the approach involves little investment of effort in the presentation. On the contrary, the choice to present rather than to read aloud involves a huge additional investment of time and energy. What I like to attempt is to memorize the structure and content of the talk, to be so familiar with the material that it is possible to pace it without difficulty. As it happens, I always have a manuscript handy in case I crash and burn, and I know at any given point where I can pick it up in case I need to. One of the advantages of presenting rather than reading is, for me, to be able to see the audience, to make eye contact and to communicate with them directly. We are all influenced by the teachers we most admired and in this, I know of no better teacher than Michael Goulder, who occasionally read-aloud (e.g. at sit-down colloquia) but usually presented from memory, all the time engaging directly and lucidly with the audience, who loved it. But the element that I am keen to advocate is not any particular style of presentation, even if I remain convinced that reading-papers-aloud does not work for me. Rather, I am keen to continue to press for some consideration of the dynamics of presentation. I would like to see more scholars putting serious thought into how people will be most able to hear, understand and engage with what is being said. Discerning the "Word of the Lord"
Investigates the well-known exegetical problem of identifying the referent of the phrase “Word of the Lord” in 1 Thessalonians 4:15. In 1 Thessalonians 4:15, the Apostle Paul appeals to a “word of the Lord” to provide authority for his eschatological encouragement. This appeal has left a perplexing problem related to the nature and function of the specific authority to which the phrase refers. Two theories have predominated in the history of interpretation: either 1) it refers to a directly received prophetic revelation, whether to Paul or to another Christian prophet; or 2) it refers to a teaching of Jesus received as tradition, whether preserved in the Gospel tradition or otherwise unknown. This book investigates this problem from three angles: epistemological analysis, examining Paul’s authorities for his knowledge, particularly in his eschatology; linguistic analysis, including both grammatical and lexical study of the phrase; and contextual analysis, setting the statement within its historical and literary contexts. These approaches converge to suggest a fresh solution to the problem: while Paul does appear to employ traditional Christian eschatological teaching in his response to the Thessalonian crisis (4:16-17a), the phrase ἐν λόγῳ κυρίου does not refer to this tradition, but rather refers to the proclaimed gospel message about Jesus centred on his death and resurrection which forms the theological foundation of Paul’s response (cf. 4:14). It is one of the sadder features of the internet's coming of age that great sites like this get lost. It's one of the great things about the internet that so often archive.org comes to the rescue. I had forgotten that the site was more comprehensive than just a bibliography. The bibliography is pretty thorough up to 1998 or so. It makes me wonder about the possibilities of rescuing this bibliography and beginning a new, online, collaborative, up to date version. Please excuse me for also mentioning that the audio of my talk is available here, and the associated powerpoint presentation here (.ppt) and here (.mht). (I don't have the rights to upload anyone else's talks, of course). AKMA's response is available on the ASOR blog too. There are some things that Jim West apparently never wants to see. Here's number 4. Bad luck, Jim. I have the complete set of Documenta Q too. I decided that it was time for a new logo for the NT blog and it's now uploaded. It is very simple because I am not a very complex person. The fact that my design skills are minimal has nothing to do with it. It's the same top three, Oxford, Cambridge and St Andrews, but in this subject area Durham ranks for more highly (4th) than the institution as a whole (14th). I'm naturally delighted to see my alma mater topping both charts, but sorry to see my former employer, University of Birmingham, down at a sorry 24 in both lists. Heythrop College, another former employer, is at an honourable 14 in the Religious Studies and Theology list. One obvious success story is the ranking of the Scottish Universities, with St Andrews, Edinburgh and Glasgow in the Religious Studies and Theology Top 10, and Aberdeen bubbling under at 11. Oxford Brookes is impressive at 12, and I suspect that Sheffield, Manchester and Nottingham will be disappointed to miss out on the Top 10. Update: Revised 12 May, with thanks to Ken Olson for two missing items. Update: Revised 8 March 2010. One should always be wary when appeal is made to "the majority of scholars," for it tends to exclude any new idea. Where would Galileo or Darwin have got to if they had bowed to it? And I suppose too that the point should be extended to the reception of new ideas, not just the instigation of those new ideas. Lots of new ideas turn out to be horribly wrong, but it is rarely a good argument against them to appeal to what the majority thinks. I wonder if it is one of those areas where we allow ourselves to be unduly influenced in our research and writing by the constraints of pedagogy. When we teach, we naturally have to paint a picture of the majority view, even where we disagree with that view. Perhaps our attempts to understand where the majority view is can inadvertently cause us to give value to that view and so to argue as if good scholarship is about counting heads. Marcus Jastrow's Dictionary of Targumim, Talmud and Midrashic Literature is a classic and is already available online at Tyndale House, but the new project aims to make the text fully searchable in PDFs. In an enjoyable post on The Busybody, Loren Rosson asks Did Jesus teach the Golden Rule? with reference to the fourth volume of John Meier's Historical Jesus project. I haven't read the new Meier yet, but I would like to comment on something that emerges from Loren's post. His answer is that Jesus did not teach the Golden Rule -- "Meier shows that the Golden Rule doesn't meet any of the criteria of authenticity, least of all discontinuity"; it is only singularly attested and it is "thoroughly inconsistent with Jesus' demands stated elsewhere". Are these criteria adequate to the task of establishing that Jesus did not teach the Golden Rule? I don't think so. "Discontinuity", more commonly "dissimilarity" is a notoriously problematic criterion. There must have been substantial continuity between Jesus and his Jewish context, and between Jesus and the first Christians. Käsemann's use of the criterion of dissimilarity only served to create a Lutheran Jesus. Single attestation (Matthew or Q) is, of course, problematic if one is a fan of the criterion of multiple attestation, but those of us who are sceptical about the existence of Q, the independence of Thomas or the independence of John have precious few independent sources anyway. And the alleged inconsistency of this saying with Jesus' other ethical teaching presupposes a use of the criterion of coherence that is at variance with the likelihood that Jesus was inconsistent, like other charismatic leaders of new religious movements (Jack T. Sanders). But even if these criteria were strong, it is in the nature of criteria in historical research that they cannot demonstrate what Jesus did not say. The point of the criteria, as I see it, should be to help us to work out where the strongest evidence can be found, to adjudicate on what material is the securest in our pool. In other words, we might decide to avoid the use of a particular saying in our reconstruction of the Historical Jesus because that saying is not part of what we think we know for sure. But that is different from saying that Jesus did not say the thing in question. April DeConick currently has an interesting series running headed Creating Jesus and there are several points where I have been tempted to comment but have not found a moment. Comments from Rafael on Verily, Verily on the post about the miraculous reminded me of some comments I was going to make about the way that I approach the miraculous in my historical Jesus classes. In Historical Jesus classes I try to avoid the terms "miracle" and "miraculous". As soon as the terms are out there, one is obliged to enter the complex and unwieldy philosophical debate about miracles, and it becomes difficult to make any serious progress in Jesus research. And if I am honest, I don't have the necessary philosophical credentials to be able to make a genuinely informed contribution in that debate. Moreover, the term "miracle" is unhelpful in describing the way that the ancients perceived the world. The early Christians saw God's activity in everything. A dunamis, a "mighty work" or a "work of power" was different from God's everyday activities in scale rather than in kind. When they talked about a dunamis, they did not see it as an event that lay outside the laws of nature but as something that specially manifested God's power, a signature event that differed from the repeated God-ordained events like the sun coming out and the rain pouring down. In other words, the earliest Christian writers do not appear to have had a special category of "miracle" that was different in kind from other activities of God. The use of the term "miracle" can tempt us to think that they thought in those categories. Now of course that does not settle the key questions about what lies behind the Gospel traditions about Jesus' healing activity, but it does help to refocus the terms of the discussion in a useful way.